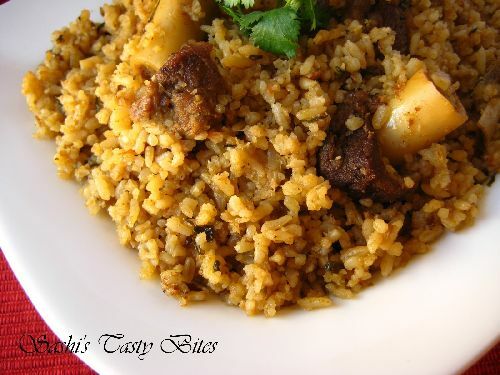 Chettinadu recipes are one of our favorites. 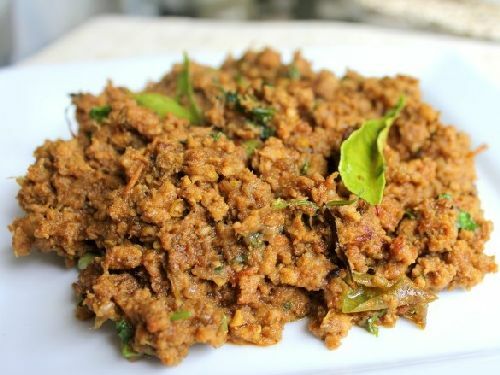 Chettinadu recipes have a nice blend of spices which makes it unique and adds the taste and flavor to the dish. Mutton takes longer time to cook without pressure cooker. With the pressure cooker 3-5 whistles cooks mutton well done. If the pressure cooker is not used, it has to be cooked for at least an hour. We get mutton from Halal Market which is much closer to the taste which we get in India. 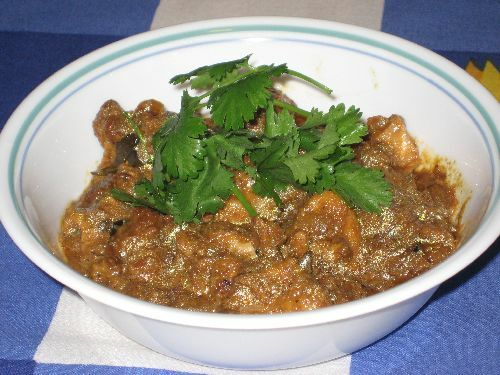 Those who dont get Mutton, Lamb can also be cooked in the same way. I’ve modified my recipe based on various sources from blog-o-sphere to suit my tastes. Add little oil in a pan and dry roast the items given in the section “To dry roast and grind” in the given order, add coconut and cashew at the end and fry till they turn golden brown. Grind them into fine paste. Cut the Mutton into small pieces and marinate with Turmeric and Salt. Chop onion, tomato and coriander leaves. Grind ginger garlic into fine paste. Extract the coconut milk from coconut or use ready made coconut milk. In a pressure cooker heat Oil. When hot add cinnamon, cloves, cardamom, star anise and onion in the order. Fry till the onion is translucent. Add ginger garlic paste and fry till the raw smell is gone. Add chopped tomatoes and fry till they are cooked. Add the ground paste and fry till oil seperates. Add the marinated mutton and water. Check for salt and close the lid. Allow the mutton to cook for 5 whistles. Add the coconut milk and allow it to boil for 10-15 min in medium flame. Add the coriander leaves at the end. 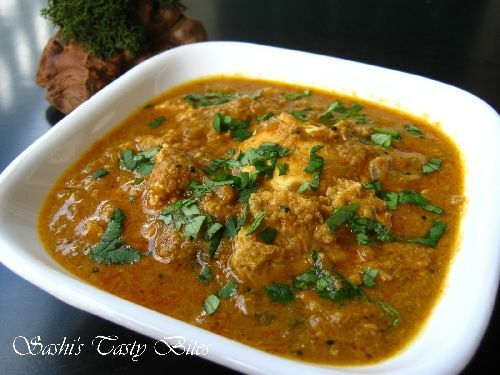 (*) Can be accompanied with steamed white rice, variety rice, chapathi and roti. Very good recipe, thanks for sharing. 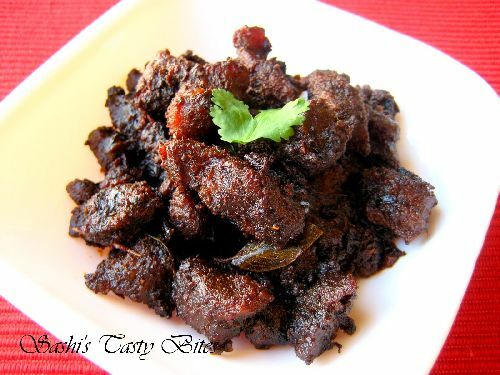 Mutton kuzhambu came out very delicous and tasty…. Keep going and All the best sashi! Wow..! 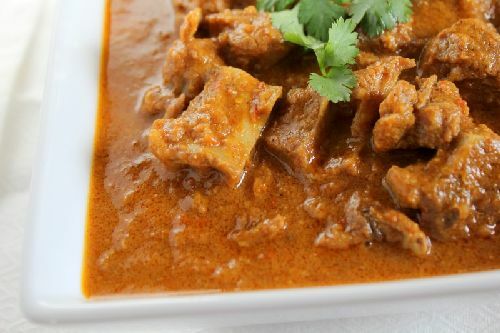 !Chettinad dishes are always very tasty..!! 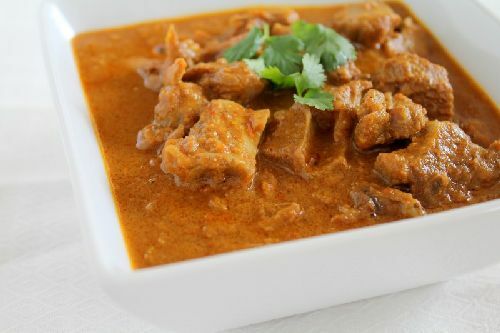 To come out of conventional mutton cooking which we used to prepare regularly I check it net and got your receipe… we have done it today and it is very very tasty.. thanks a lot madam. 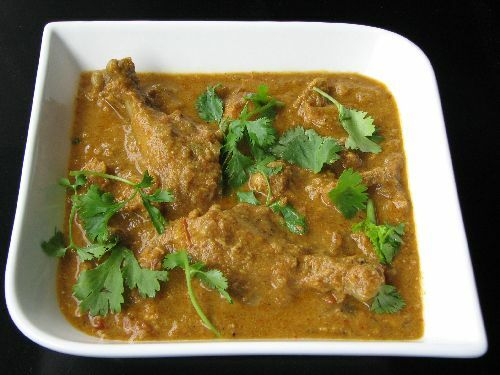 Hello Shashi mam,my family does not eat mutton, can the same recipe be tried with chicken …is there any changes to be done for it ?? No changes, you can substitute Chicken instead mutton. That’s very sweet of you!! Thanks Anitha!! i tried this recipe and chicken fry last week.i always follow ur methods.and i refer ur blog for my friends and relatives. wow – made this last weekend and it came out great. Thanks!! me tsty and delicious receipes.Madam, thank yu very much. Thanks Prasanna !! I will surely try to post recipes when ever I find time !! Thanks Ramyaa.. Glad you liked them. Tried it. Really excellent recipe to make the gravy. Was absolutely fantastic with rice and also with chappati. Wow! What a groovy curry! Love it! Looks tasty!